Il Cinema Ritrovato has always been an important platform to present archival film and discuss common problems of preservation and restoration. Also L’Immagine Ritrovata is one of our frequent partners in digitization and restoration projects. So obviously Il Cinema Ritrovato DVD Awards are a great opportunity to present the results of our work and maybe exploit a broader audience for it. 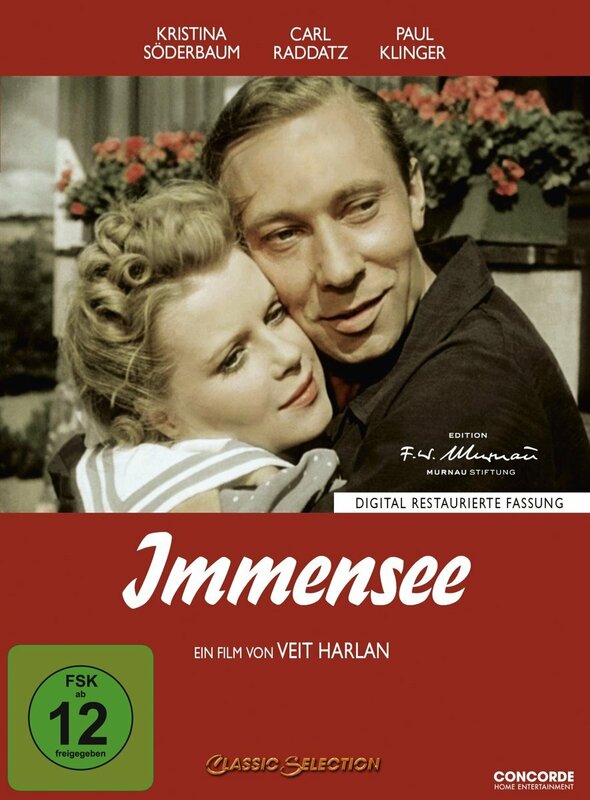 In 2015 the digital restoration of the parallel productions Opfergang and Immensee (director: Veit Harlan) was our pilot project for the restoration of early Agfacolor films, that have been produced between 1939 and 1945. As it is impossible to reproduce Agfacolor with modern film stock, the aesthetic concept of early Agfacolor films has for decades been highly manipulated by means of photochemical duplication. Last year Anke Wilkening, Prof. Dr. Barbara Flückiger and Matteo Lepore presented the restoration works at ‘The Reel Thing‘ in Bologna. Opfergang is a 4K restoration based on the camera negative. A post-war Agfacolor print served as the colour reference. For Immensee no surviving camera negatives are known of, therefore we had to resort to a post-war Agfacolor print, very dark and high contrasted. Since both films were shot on location in the same area in North Germany, the result of the Opfergang restoration could be used as reference for Immensee. In September 2016 Opfergang premiered at the 73rd Mostra Internazionale d’Arte Cinematografica di Venezia. As this was such a unique and important restoration project for our foundation, it was obvious to release both films in a comprehensive DVD and Blu-Ray edition. In Concorde Home Entertainment we have found a dedicated partner. Sales for video-distributors in general are unfortunately declining all over Europe. While Germany is still an exception, with sales declining way slower, due to a large number of late adopters, physical media will sooner or later become a product for film aficionados, comparable to the vinyl boom of the last years. In this we see a huge advantage for classic films, since the correlation between film lovers and the films offered will be much bigger than for blockbusters and new productions in general, which will make their money back almost exclusively via VoD in a few years. 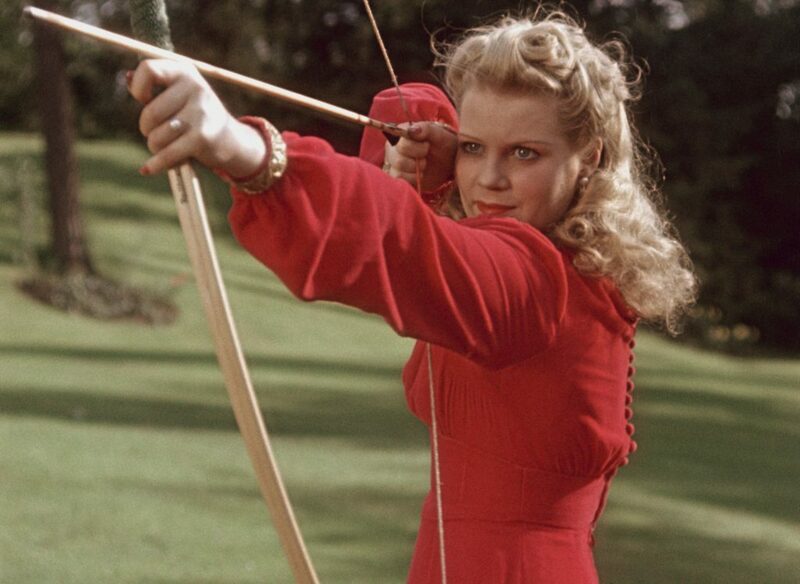 Still the distributors of classic films should embrace new technologies with open arms, while being wary enough not to let their films get lost in an oversupply. First of all, Filmarchiv Austria appreciates Il Cinema Ritrovato’s expertise in dealing with the world of film archives; thus we submitted the K.u.K. 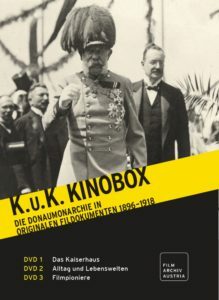 Kinobox because of its historical importance due to the material involved and because of our focus on the restoration of early film material. The two main goals of the Filmarchiv Austria are the survival of films and cinematic artefacts in their analogue formats and to make these digitally available for everyone. We are of course aware that the market for video-distribution is declining, but we do hope that cineastes will continue to collect high-quality, historically relevant films.